By Louis D Coppola @ G&A Institute..
Do you have “survey fatigue” from all the various sustainability reporting frameworks? Well.. GRI Linkage Documents may be the answer to your prayers. 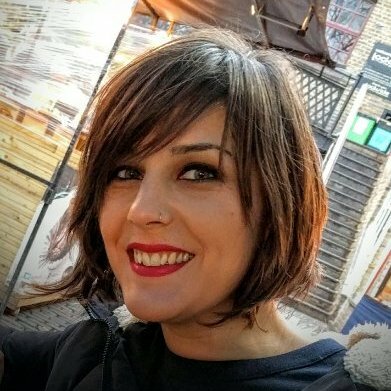 A while back you may have read my earlier blog posts as we were monitoring the developments of the new EU directive for Non-Financial and Diversity Disclosure. As most of you know by now the Directive entered into force in December 2014. The directive will impact over 6,000 large public enterprises that operate in the European Union and mandate them to report on certain sustainability matters. You can read some frequently asked questions about the directive here. The good news today is that GRI has released a “linkage document” which links the GRI G4 indicators to the specific requirements of the EU directive. This document is the latest addition of these very useful linkage documents created by GRI. For those of you who are worrying about “survey fatigue” or the growing number of sustainability reporting / data collection organizations that you must reply to – you should be aware of these linkage documents. In a nutshell these linkage documents allow a GRI reporter to utilize their GRI report and content index to disclose to several major important reporting organizations with only one report. 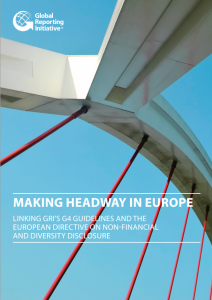 The linkage documents currently include guidance for using GRI reports as one stop report to respond to several important reporting organizations / frameworks like ISO 26000, Carbon Disclosure Project (CDP), United Nations Global Compact (UNGC), IFC Sustainability Performance Standards, The Earth Charter, and now the new EU Directive for Non-Financial and Diversity Disclosure. Imagine that! – You can use your GRI report to help respond to all of these important sustainability groups at once. Another reason why you should be reporting using the GRI framework. The globally recognized (over 6,000 companies utilizing GRI) de-facto standardized format of disclosure that you have when reporting using the GRI framework allows for these types of alignment / synchronization, and can help you to answer more important stakeholders information requests, with less time invested, more accuracy and more efficiency. As an example of how this would work take a look at the GRI Content index for ArcellorMittal where they use one index for UNGC and GRI here. Another example is GAP where they have combined GRI, UNGC, and CDP into one GRI index here. You can see all the GRI linkage documents listed here. You can access the announcement and the new EU linkage document here. If you have any questions please contact me (lcoppola AT ga-institute.com) and let me know – about this or any other sustainability topics. Think of G&A Institute as your sustainability think tank. Over the past ten years we have designed research, systems and services to help you get more out of your sustainability efforts, and I would be very excited to tell you more about how we can help.